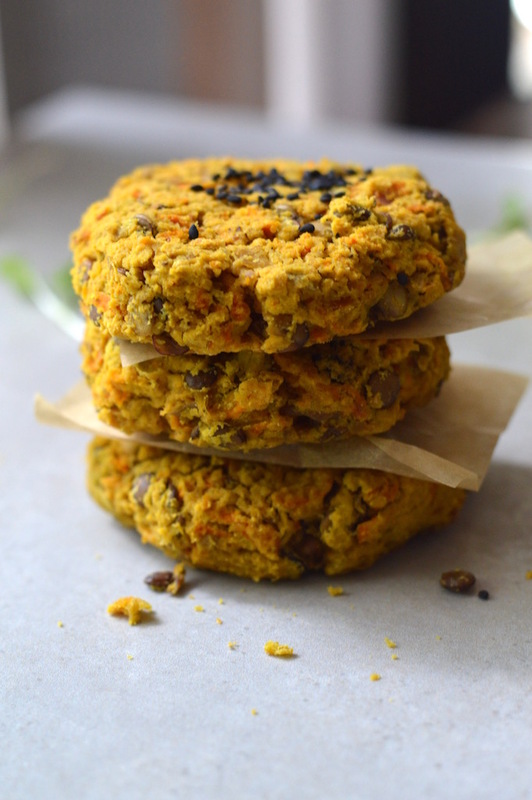 Because my sweet potato quinoa patties were such a hit, I decided to make some more as they are a easy and nutritious way to get lots of goodness in your diet. I made this batch of patties because I knew I wouldn’t have much time to make lunch this week as I was working longer hours. I try not to eat out too much as it can become expensive and most importantly it’s never as healthy as the lunch you make at home. 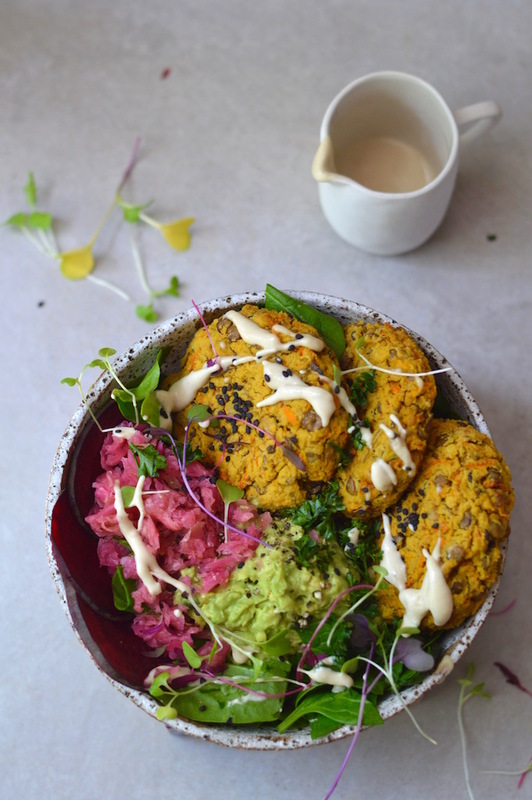 So for the past few days I took A few patties for lunch with avocado, sauerkraut, spinach, beetroot and in a seperate small container I had some tahini sauce. I didn’t get bored with the flavours and felt satisfied for the rest of the day. You could also have these in a salad wrap or as a burger patty! I use lentils a lot in recipes because of their nutritional benefits. Lentils are a great source of fibre which helps to lower cholesterol levels and are also high protein keeping you fuller for longer. Lentils are great for your digestive health as they prevent constipation and disorders such as irritable bowel syndrome. If you have ever had lentils and experienced bloating then it might be because you haven’t soaked them before cooking. Soaking is an ancient method that helps to breakdown the antinutrients, makes them easier to digest while releasing beneficial nutrients! Pre heat oven to 180*C.
Blend the chickpeas, tahini and lime juice until smooth then add to the bowl. Add all remaining lentil patty ingredients and stir until combined. Place baking paper on baking tray and scoop out about a tablespoon full of mixture depending on how big or small you want them. Roll into a ball in your hand and press down gently onto baking paper. Continue for remaining mixture. Add sesame seeds on top (optional) and place in the oven for 30 minutes. While the patties are in the oven you can make the tahini sauce. Simply place all ingredients into a cup and mix together adding small amounts of water until you get the right consistency. When burgers are cooked, enjoy with a salad (mine included baby spinach, beetroot, sauerkraut, smashed avocado, and sprouts), on a burger, or in a wrap. Store in an airtight container in the fridge. Best eaten within 5 days. Lentils are one of my favorite foods! I would love to make these but I have a skin intolerance to white rice. Could I sub for something like brown rice flour? Can curry powder be substituted I’m not fond of curry. out and to show you that eating healthy is delicious! Here you will find nourishing, easy, and delicious recipes using only natural whole food ingredients, plant-based, free from gluten, dairy and processed sugar. I also provide health tips to help you along your journey.